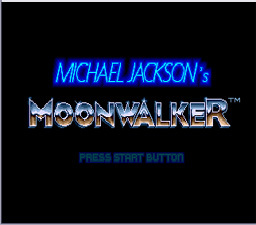 Play Michael Jackson's Moonwalker Now! The ignorant Mr. Big has kidnapped many children and plans to make the poor kids his slaves. So Michael Jackson goes to stop Big and save the kids. Can Wacko Jacko do it?! It's actually very simple: save the kids that are being held captive in the building. But the bad guys will try to stop you. You must use magic attacks to put them away. Once you save the kids, Bubble's, Michael's friend, will come and point the way to the boss! But it's not really a "boss battle", it's a trap featuring many cronies you fought in the level! You do that for practically each of the levels. Sometimes a star will appear in certain places. Catch it to turn into a robot. Stars may appear when you open certain doors or windows, or when you do certain other actions.